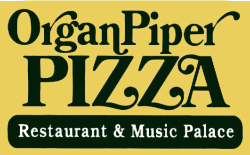 Organ Piper only takes reservations for 10 or more in a party. It's best to call the restaurant at least a week and a half / two weeks in advance to check the availability of that date, as our weekends get very busy, especially in the fall and winter seasons. On certain days and times, we may limit parties to a maximum of 2 hours. *Note - we do not accept reservations via email or the contact form on this website. Please call and speak to one of our staff during our normal business hours to reserve your party. Organ Piper is closed to the public on Monday evenings, but can be made available for large private parties. Please call (414) 529-1177 for more information! Come in for dinner, a birthday, with your sports team, wedding rehearsal dinner...to Milwaukee's most entertaining pizza!